Alleged Funds embezzlement: NAKSS suspends President as Mancha clarifies self – Royal Times of Nigeria. 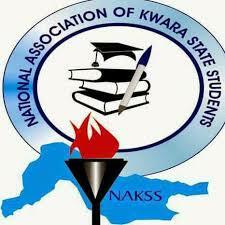 The National Association of Kwara state students on Tuesday suspended its national Executive president, Cmr. Musa Muhammad Mancha over alleged mismanagement of funds to the tune of N1.5m. This is contained in a statement signed by the Senate President of the association, Cmr. Abdulazeez Ahmad El-Imam and the Senate Clerk, Cmr. Sulyman Abubakar and made available to this medium on Tuesday. The statement said “in line with the constitution guiding our noble association NAKSS. We deemed it fit to publish to the general public the resolutions of the Senate sitting held on the 1st of October, 2018 at Ilorin. The Senate Council resolved that the Association President, Cmr. Mancha a student from University of Ilorin should be suspended pending further investigations over the following breach of the union’s constitution on mismanagement of funds of the Association close to 1.5million naira. “Presentation of Awards to some public office holders without the Senate recommendation which contradict Article five,Section four and invitation of hoodlums to invade the Senate chamber and injuring senators at the last Senate sitting. The council accused him of organizing program at the banquet hall where he generated over five hundred thousand without the approval of the Senate Council. ” denying Most of the members of executive council their constitutional rights such as access to financial records, information and contributing to the association. “Subjecting the organization to partisan politics to the extent of endorsing aspirants and mobilising students to welcoming some governorship and house of Reps aspirant at the airport which is against our rules. The Senate in the statement resolved that the President should hand over all the union’s property in his possession to the next person in charge, the vice-president (Admin), Comr. Ibrahim Abdullahi Paranti a political science student of Federal University of Oye Ekiti, Ekiti State. ” that the vice president administration should write to government through the special Assistant to Governor Ahmed on Students Affairs, Cmr. Bisi Fakayode to know the status of the bursary and report to the Union within a week for further action. “That one Cmr. Shola Galadima the President friend is no more a student about three years ago. Therefore, he should desist from identifying with the organization and claiming to be Chairman of committee of the association that when next caught in that act he will be reported to the police. The further urged all political parties in the state should ensure violence free electioneering processes. ” we the Senate Council under the leadership of Comrade Azeez El-Imam wished the entire Kwara State students schooling home and abroad a happy Independence Day celebration. Responding, the embattled president, Cmr. Mancha described debunked the allegation stressing that he remained the president of the association. He said ” my attention has been drawn to the rumor in circulation that the senate suspended me. I wish to state categorically at least for public consumption that I was never suspended by the Senate or any other. “In a view, a senate sitting that turned to a rancor which led to the dispatching of all present and locking of the sitting venue by the police for serenity. Then after departure of more than about 80 percent of the senators and others present including myself, a senate meeting was called by the senate president with the mace on a wall and all senators standing on their feet for way forward, then a senator (Sen. Sulaiman Ibrahim- from Lagos) suggested that a committee should be set up to investigate the matters alleging the Executive President and the Senate President for evidences. ” i hereby call on the general public to disregard such rumor as I remain the National NAKSS President. I use this medium to implore those involve in circulation of fake news about my person and NAKSS at large to desist from it. Police misconduct to be reduced.